By Diane Colson April 20, 2016 April 18, 2016 Continuous Learning, Learning Experiences, YALSA Info. As YALSA moves closer to completing the association’s organizational plan, the Board of Directors has discussed a variety of topics related to YALSA initiatives. To this purpose, the Board is considering the areas needed to support teen library staff successfully. In this series of blog posts, we look at some of these areas. For library workers who interact daily with teen patrons, there is always something new. It comes from the teens themselves, raving about a new video game or Netflix original. It comes from changes within the library – new technology, new staff roles, new uses for the meeting rooms, etc. For library workers who serve teens, the need to know can be urgent. This is the place that YALSA hopes to fill with a variety of learning opportunities. Part of re-thinking YALSA involves discovering the best ways to bring training to the people who need it when they need it. Right now there are a number of ways that library workers can access training through YALSA. Let’s start with an overview. Some libraries offer in-service training that pulls everyone in the system together for a day of learning. YALSA offers full day institutes on a range of topics that could be a good fit for our library. YALSA provides the trainer and materials, and your library provides the participants and space. If your library is looking for qualified speakers on a variety of topics, check out YALSA’s Speaker’s Bureau. There may be someone nearby who is has expertise on evaluating summer learning programs, for example. This allows face-to-face learners to feed off the enthusiasm of the group and to generate lively discussion. Feel free to add your own name and your particular expertise to the list! Live webinars can also have the dynamic feel of face-to-face learning, since it shares that spontaneous quality. YALSA’s live webinars are ideal for discussing important topics that get lost in the daily business of serving patrons. For example, YALSA’s Connecting with Immigrant and Refugee Youth in Your Community will be held on April 21 at 2:00pm EST, and all live webinars are free to YALSA members. If you are able watch the webinar with colleagues, this can be a great way to generate discussion on local library issues. But what if that is exactly the time your teens show up at the library? The same webinar is available within 24 hours after they’re recorded, accessed through the Members Only page. After 30 days, anyone can view the webinar for $19. All of YALSA’s institutes and e-courses can also be offered for a specific library or group at a special rate. There are also plenty of free, on-demand webinars as well. There are webinars on the future of teens services, on connected learning, summer programs, and gaming, to name a few. 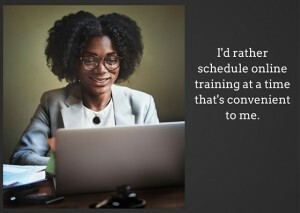 Recorded webinars don’t have the immediate interaction of face-to-face training, but they still stimulate new thinking and can shed fresh light on everyday activities. On a larger scale, YALSA offers sessions at ALA’s Midwinter and Annual Conferences, as well as the YA Symposium. These are perfect for those learners who thrive on the energy of others. The presenters are at the top of their field, and the room is filled with people who share that passion. But there’s a downside to this, of course. It means travel. It means expense, which necessitates planning ahead and figuring out strategies for minimizing costs, like sharing a hotel room. If you’ve never attended an ALA conference or YALSA’s symposium before, you can apply for travel grants. Travel grant applications for the symposium are being accepted through June 1st. There are the kinds of crowds that send introverts back to the hotel room. These big events are increasingly available through live webcasts, which, true confession, is how I watched the Youth Media Awards last winter. YALSA’s newest continuing education offering is free and can be accessed 24/7 from where ever you are. This micro-credentialing effort is a great way to brush up on or build new skills. The digital badges you earn help you demonstrate to current or potential employers the skills and expertise you have mastered. And for customized, one-on-one professional development, check out YALSA’s virtual mentoring program. What works best for you? 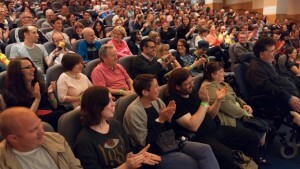 Are you inclined to travel and be part of YALSA at conferences? 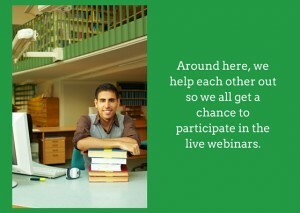 Do you like attending webinars or e-courses with a few like-minded colleagues? Do you prefer to work independently online and earn digital badges? Let us know what you think! By Candice Mack January 12, 2015 January 12, 2015 Committees and Volunteer Opportunities, Continuous Learning, Governance, Teen Services, YALSA Info. I am pleased to announce that all appointments have been made for the 2015-2016 award and selection committee cycle. Many, many thanks to the all the talented and dedicated YALSA members who submitted nearly 600 volunteer applications to join these great committees! If you submitted an application, you should have received an email from me inviting you to be on a committee or an email letting you know that my appointments taskforce and I were unable to find a spot for you this year. If you received one of the latter emails, please don’t be discouraged and please try again. There were just not enough slots for the number of applications we received. In the meantime, you can gain valuable YALSA and professional development experience by volunteering to be on a YALSA strategic committee, task force, or jury. The work of all of these strategic groups is done virtually and do not require conference attendance. The deadline for strategic committee applications is March 1, 2015, and I will be making those appointments in the spring. By Shannon Peterson May 4, 2014 May 4, 2014 Advocacy, Government Legislation, News, YALSA Info. During the next few days, YALSA’s Executive Director and I will be in Washington DC for National Library Legislative Day. We’ll be talking to Congressional Staff and policy makers at key foundations and organizations about the vital role libraries and library staff play in helping teens succeed in school and prepare for careers. In order for our conversations to have any lasting impact though, they need to be supported by a grassroots effort from members and supporters. Without your’ participation in NLLD via Tweets #NLLD14), emails and phone calls, we’ll be just two people talking. We need you to amplify, to show that we are all working together to improve teens’ lives. As of today, just over 300 individuals have signed on to support YALSA’s NLLD Thunderclap. While that’s a start, YALSA has 5,138 members. All of those members have friends, families, colleagues, and patrons who stand behind the important work that we do everyday.’ So please, take a few moments out of your day to help your teen patrons, your library and your livelihood. Sign our Thunderclap,’ reach out to your members of Congress and encourage others to do the same. Let’s leverage social media to amplify our voices and make real change for libraries and our patrons! The future of teens and libraries depends on us. #Act4Teens now. By Shannon Peterson April 29, 2014 April 29, 2014 Continuous Learning, Governance, News, YALSA Info. Hey YALSA members, I want to hear from you! What is it about the organization that has earned your loyalty? What does YALSA do that frustrates you? What are three things that YALSA could do that would add the most professional value to the career of teen librarians? What are your three biggest concerns or needs? Your thoughts can help YALSA become an even more responsive and relevant organization, so please, speak up! We’ll be meeting via this Adobe Connect space. Chat and audio will be available, but virtual bonus points will be given to those with a microphone too! Feel free to log-in at anytime in the next week to test your device’s capability and setup. Thanks and I look forward to talking with you. YALSA Update: New Website, Teen Tech Week & More! By admin November 4, 2011 November 4, 2011 YALSA Info. New Website Coming Soon: YALSA’s site is going to have a new look and a new information architecture in the very near future! In the meantime, there may be a few broken links while we upgrade. We apologize for the inconvenience, but we promise it’ll all be worth it. Contact Stevie Kuenn at skuenn@ala.org with any specific issues. Teen Tech Week Is Live: The 2012 Teen Tech Week website is live at www.ala.org/teentechweek! Register today and check out our toolkits, activity ideas, interactive forums and more! We Need Your Feedback: YALSA has posted a draft of its national guidelines on teen spaces. Read more about the draft and how to submit your comments on the Teen Space Guidelines webpage. YA Forum: Calling all YALSA members! We’ll be discussing steampunk during the first week of November. Mark your calendar and log on at http://connect.ala.org/yalsa. Call for Proposals: Do you know what the Next Big Thing in YA lit is? Tell YALSA! Visit www.ala.org/yalitsymposium to submit your paper or program proposal for the 2012 Young Adult Literature Symposium, The Future of Young Adult Literature: Hit Me with the Next Big Thing, to be held Nov. 2-4 in St. Louis. Proposals are due by Nov. 15. Want updates on the symposium? Join the symposium mailing list. Questions? Contact Nichole Gilbert at ngilbert@ala.org. Join YALSA at Midwinter! YALSA’s coming to Dallas for the ALA Midwinter Meeting, Jan. 20-24. We’re hosting a fab pre-Midwinter workshop on innovations in teen services, a trivia FUNdraiser, a poster session on teens in detention centers, a coffee with the candidates session, and more! Register now at www.alamidwinter.org. Registration starts at $170 for YALSA members. See everything YALSA has planned for Midwinter. Summer Reading Funding: Apply now for a Summer Reading Grant from YALSA and the Dollar General Literacy Foundation! Twenty libraries will receive $1,000 for summer reading 2012. Applications due Jan. 1. Want more YALSA news? Follow YALSA on Facebook and Twitter. By admin October 21, 2011 October 21, 2011 YALSA Info. Teen Read Week Photo Contest: Teens ages 13-18 can enter YALSA’s Teen Read Week photo contest through Oct. 31! TRW 2011 Spokesperson Jay Asher will judge the contest, in which teens can make a visual representation of their favorite book and post it to Flickr. Contest details, including a tag and an entry form, are available at www.ala.org/teenread. New Research Agenda: Check out YALSA’s new research agenda, finalized this month by the board of directors. YALSA Update: Bundled Reg Ends, YA Forum & More! By admin September 30, 2011 September 30, 2011 YALSA Info. Coming to Midwinter & Annual 2012? Bundled Reg Ends Oct. 2! If you’re planning to attend both ALA’s Annual Conference and Midwinter Meeting in 2012, take advantage of the lowest pricing with bundled registration at www.alamidwinter.org. Registration starts at $333 for YALSA members, but hurry, as this pricing expires Oct. 2. See what YALSA has planned for Annual and Midwinter. YA Forum: Calling all YALSA members! Next week, we’re talking STEM (Science, Technology, Engineering, and Math)’ in ALA Connect for the monthly YA Forum. Join YALSA for a discussion of what STEM is, and how you can incorporate it into your library. We’ll share ideas on STEM programming and how to build collaborative STEM partnerships with other organizations. We’ll also look toward the future and talk about how librarians can easily implement STEM initiatives during Teen Tech Week. This discussion will be moderated by Shannon Peterson, Youth Services Librarian at Kitsap Regional Library. Log on at http://connect.ala.org/yalsa. What Is That Thing? QR Codes Webinar: Find out how you can use QR Codes at your library in YALSA’s October webinar! Join Jennifer Velasquez on Oct. 21. Registration costs $29 for students, $39 for YALSA members, $49 for all other individuals and $195 for the group rate (applies to a’ group of people that will watch the webinar together in one location). Learn more and register at www.ala.org/yalsa/webinars. Teen Read Week Photo Contest: Teens ages 13-18 can enter YALSA’s Teen Read Week photo contest! TRW 2011 Spokesperson Jay Asher will judge the contest, in which teens can make a visual representation of their favorite book and post it to Flickr through Oct. 31. Contest details, including a tag and an entry form, are available at www.ala.org/teenread. By admin September 23, 2011 September 23, 2011 YALSA Info. Last Day to Order TRW Products ALA Graphics & YALSA offer posters, bookmarks, downloads and more to promote Teen Read Week each year. The last day to order TRW products and receive them in time for TRW with standard shipping is Sept. 29. Check out this year’s products and order at www.alastore.ala.org/trw11. We Need Your Strategic Plan Feedback YALSA’s Board of Directors is seeking member comments on the new strategic plan! Weigh in with your comments by Sept. 30. Get the Scoop on the the Printz Want to know the Secrets of the Seal? Find out everything there is to know about the Michael L. Printz Award in YALSA’s fall online course taught by Brenna Shanks. This self-paced class begins Oct. 3. Details and registration are available at www.ala.org/yalsa/onlinecourses. Volunteer for a 2012 Selection Committee! YALSA is accepting volunteer forms for 2013 Selection Committees through Sept. 30. Congrats to YALSA’s Board of Directors YALSA’s Board of Directors won the $10,000 Innovation Prize at the BoardSource Leadership Forum in Atlanta. Congrats to Executive Director Beth Yoke and President-Elect Jack Martin on their winning presentation.